The features are known as recurring slope lineae (RSL), and in 2015 they were the cause of headlines around the world proclaiming water had been found on Mars. But findings published today in Nature Geoscience suggest that these features, appearing as dark streaks on Martian slopes, are actually caused by grains of sand and dust slipping down. That’s bad news for people hoping to find conditions suitable for microbial life. “We’ve thought of RSL as possible liquid water flows, but the slopes are more like what we expect for dry sand,” said Colin Dundas of the US Geological Survey’s Astrogeology Science Center in Flagstaff, Arizona, lead author of the study, in a statement. The scientists came to their conclusion by studying images from NASA’s Mars Reconnaissance Orbiter (MRO). They found that the streaks only exist on extremely steep slopes, where the grains can descend. Thousands of RSL have been found on Mars, previously thought to be evidence of unexpected liquid water or brine flow. While the surface of Mars immediately boils water due to its low pressure, we thought water stored underground might be seeping to the surface. All hope is not lost yet, though. The researchers note that small amounts of water could be involved in the formation of RSL. But the exact process at play remains a bit of a mystery, and it’s probably something quite unique to Mars. 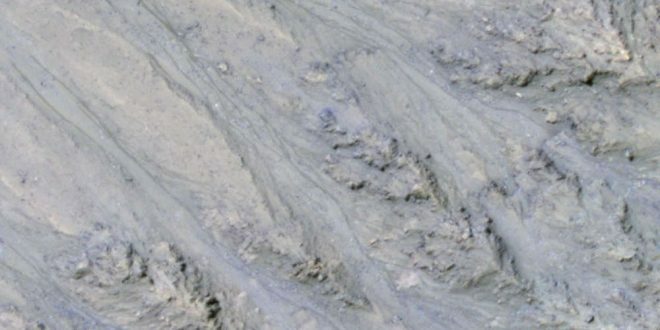 “RSL probably form by some mechanism that is unique to the environment of Mars, so they represent an opportunity to learn about how Mars behaves, which is important for future surface exploration,” said Alfred McEwen from the University of Arizona, Tucson, a co-author on the study. It paints a rather more mundane picture of Mars though, with RSL once thought to be indirect evidence for biologically significant liquid water on Mars. RSL do still have some unusual features though, like their seasonal appearance and gradual growth, which we can’t yet explain. We’ll probably only find out for sure when we actually go to one of these regions and investigate them up close. Until then, chalk one mark down for the chances of microbial life being on Mars.